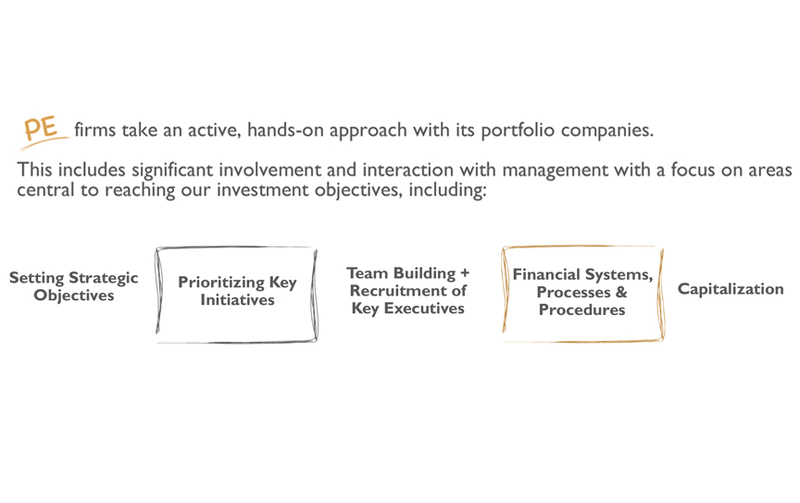 involvement and interaction with management with a focus on areas central to reaching the investment objectives. To put it in perspective, a Private Equity firm is typically presented at least 500 deals per year. Investment banks or other PE firms are regular sources of these leads. Of those, the number can immediately be cut down to 200 based on looking briefly at the size, industry, and revenue of the company. A non-disclosure agreement is signed to proceed. This allows the Private Equity firm to receive confidential information such as financial statements and lists of customers and personnel in order to be fully evaluated. From that group, roughly 20 deals will get presented to the investment committee for preliminary approval. The investment committee will approve roughly 5 companies to conduct formal due diligence on. 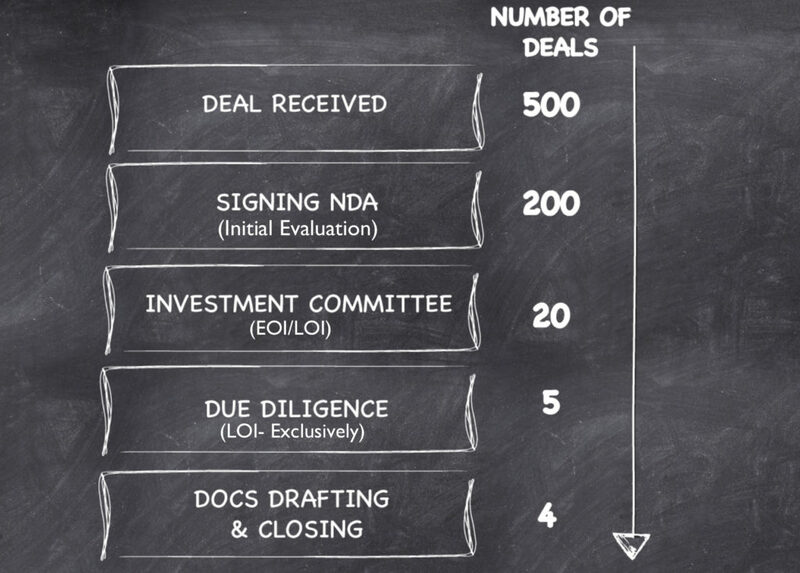 So, with 500 deals being presented to a Private Equity firm, it may ultimately purchase 3-4 companies following the robust due diligence process. The evaluation and execution of a deal is a 3-phase approach. Preliminary Evaluation, or Phase I, is when a deal comes to the table. The deal is evaluated and immediately rejected or moves to Phase II. This is when the deal team does an evaluation on key areas and presents findings to the investment committee. If the investment committee gives preliminary approval the deal moves to Phase III. Here the company undergoes extensive due diligence and will face investment committee review again for final approval. 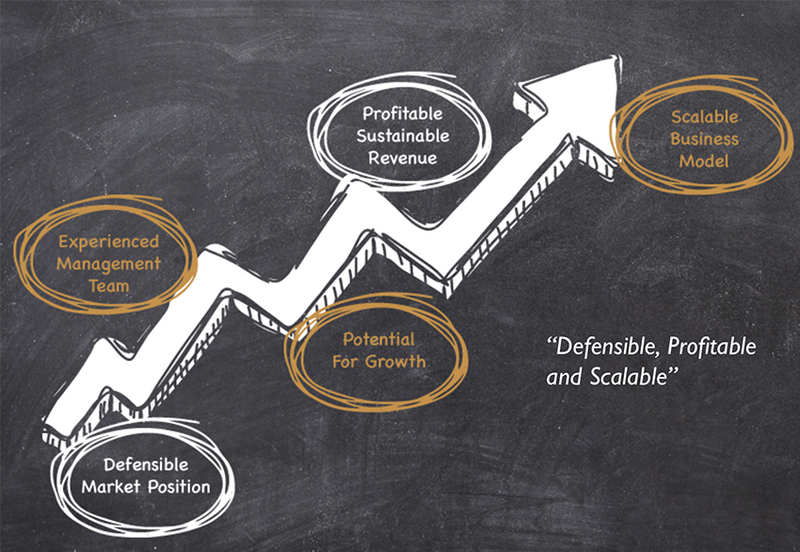 • Setting Strategic Objectives – What are we accomplishing and what time frame? • Team Building and Recruitment of Key Executives – Continue to expand the C level team, as companies grow that team needs to grow in tandem.